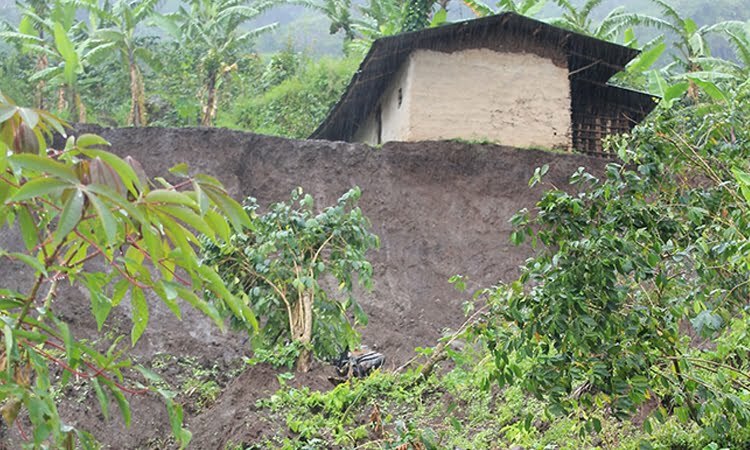 The rains that have pounded Mount Elgon have devastated several homes resulting to mudslides. Photo by Andrew Green. Mount Elgon’s residents are faced with a choice: stay or go? But both options have serious consequences. The rains that have pounded Mount Elgon have devastated several homes in eastern Uganda’s Bulambuli District.